VULTURES in the MDC-T led by Nelson Chamisa have reportedly started plotting to topple him ahead of the opposition party's elective congress next year. Highly-placed sources said there was a group of insiders who felt hard done by the MDC Alliance, which saw them losing power to party returnees, especially Tendai Biti and Welshman Ncube and would want to push out Chamisa so that they reclaim lost power. Those against Chamisa are already proposing party secretary-general Douglas Mwonzora as their candidate ahead of the 2019 congress to elect a leader following the death of founding leader Morgan Tsvangirai in February this year. "The plan is premised on two pillars, one to blame Chamisa and the alliance for failing to deal with double nominations, which allowed Zanu-PF to get a two-thirds majority in the National Assembly and, secondly, to ramp up pressure on Chamisa by blaming his electoral defeat at the hands of Zanu-PF on his campaign blunders," the source said. Those pushing for Mwonzora have already set up social media accounts pushing his 2019 agenda (It's Mwonzora's time), paving way for an internal bruising battle that could see another split in the party. Daggers have already been drawn against Mwonzora, forcing him to take court action against media reports that linked him to the plot to oust Chamisa. Chamisa's backers have, however, said they were prepared to support him to stay in power and would mobilise the party base to retain him. Youth secretary for security and Mabvuku incoming legislator, James Chidhakwa said the youth remained firmly behind Chamisa. "Democracy will allow people to contest at the 2019 congress. That is what will happen, but make no mistake, for the youth, we are clear that he remains our choice. He ran a campaign that was second to none, performed better than all our candidates in all constituencies and won this election with little funding and overwhelming opposition. It is, therefore, clear that he is our best foot forward," Chidhakwa said. Party spokesperson Tabitha Khumalo said she was unaware of the jostling or any moves to dethrone Chamisa. "I have not heard about it and I don't know about it, so I can't comment on that issue," she said. Mwonzora was not immediately available for comment as he was said to have left his phone in Harare while he travelled to the rural areas, but he has since distanced himself from the reported jostling. 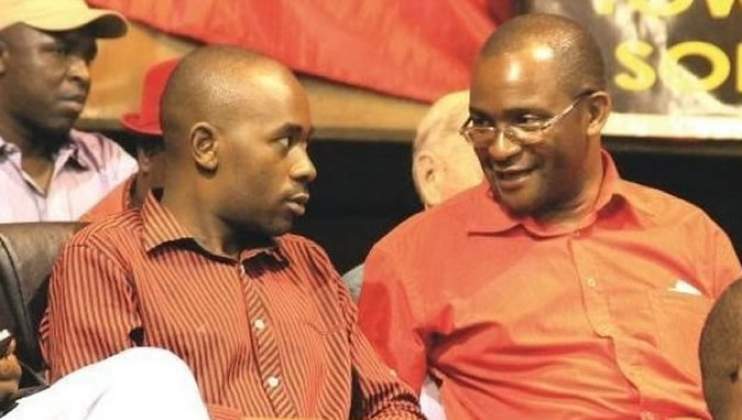 "It (links to the ouster of Chamisa) also set up the plaintiff against his colleagues in the MDC Alliance," Mwonzora said in summons against the The Herald.